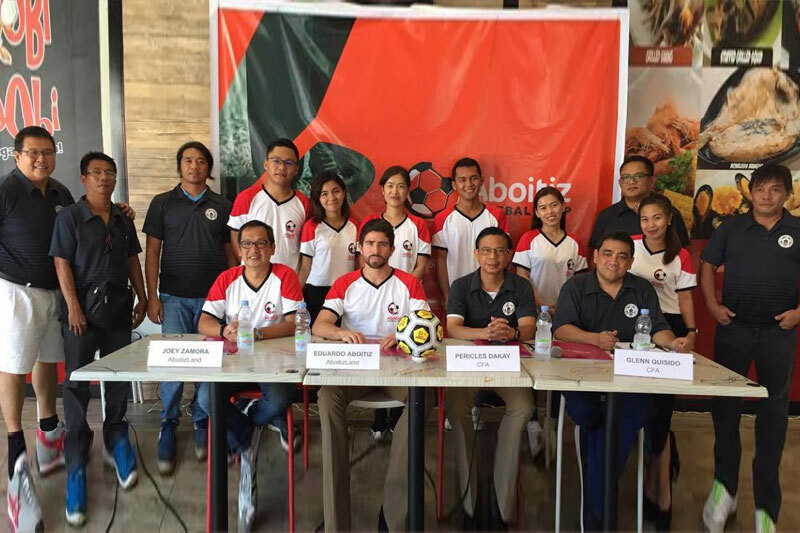 CEBU, Philippines - The Aboitiz Cup, Cebu’s longest running football tournament, will go nationwide next year in time for its 20th edition. Joey Zamora of the Aboitiz Group said it has really been their plan and that they were just looking for the right timing. They want to hold it in 2018 during the opening of the Outlets in Batangas where a football pitch is being built. In line with this, the Aboitiz Cup also gets a new look, a logo that is more appealing to the football community and the rest. As for the 19th edition which will open on September 16 at the Cebu City Sports Center, Cebu Football Association (CFA) president Ricky Dakay said it will be something to remember. “We promise that this year is going to be bigger, more wonderful and memorable,” said Dakay in a press conference yesterday at the Choobi-Choobi restaurant in Lapu-Lapu City. There will be 18 categories in the men and women’s division. Aside from the CCSC, games will also be played at the Sacred Heart School-Ateneo de Cebu, Don Bosco Technology Center and Paref-Springdale. So far, a total of 130 teams have already confirmed their participation but CFA’s Glenn Quisido is expecting more teams to register in the coming weeks. “Aboitiz recognizes the holistic development of the youth,” said Eduardo Aboitiz of Aboitizland. Through this annual tilt, many players have been given athletic scholarships while others earned spots in the national team.